It’s a staple in just about everybody’s pantry. 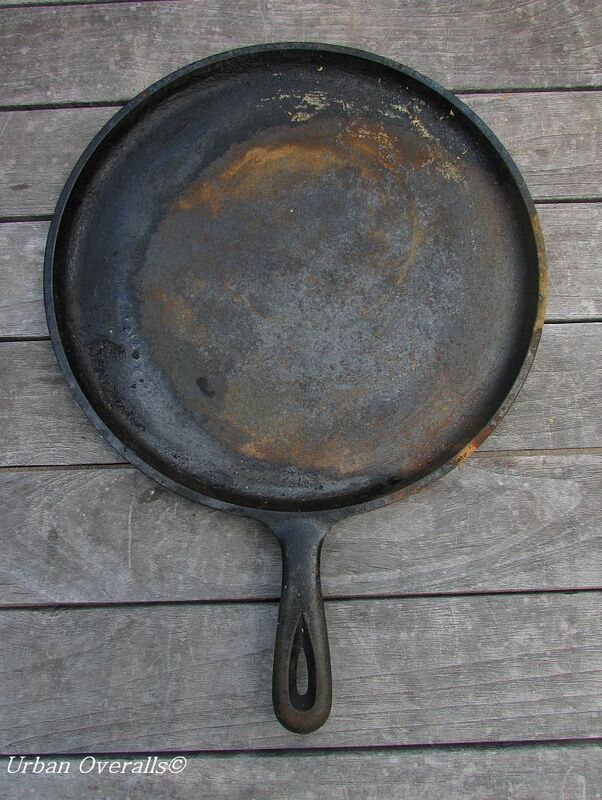 This versatile ingredient can season, soups, stews, dressings, sauces, doughs, and meats. Or if you live near Gilroy, CA, it has been known to grace ice cream. What is it you ask? Why it is humble garlic powder. While this powder may be tossed into grocery carts without a second thought to season taco meat, spaghetti sauce, or vegetable soup; do you really taste the store bought stuff in your dishes? But what would those dishes be like if the garlic powder was homemade versus the grocery store staple? Imagine flavoring dishes with freshly ground garlic powder. Worry no more. Garlic powder can readily be made at home. 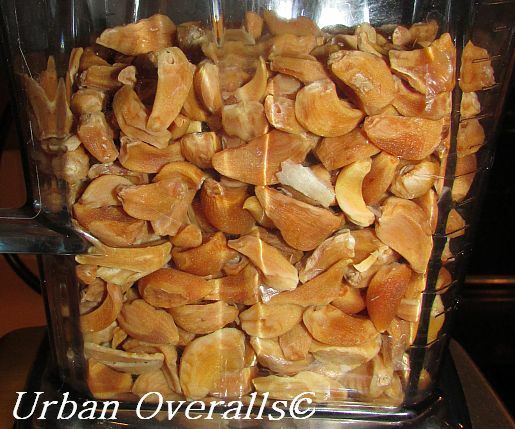 All you need are garlic cloves (lots of garlic cloves) , dehydrator, and a powerful blender. The first step towards making garlic powder is to remove the papery skins from the cloves. 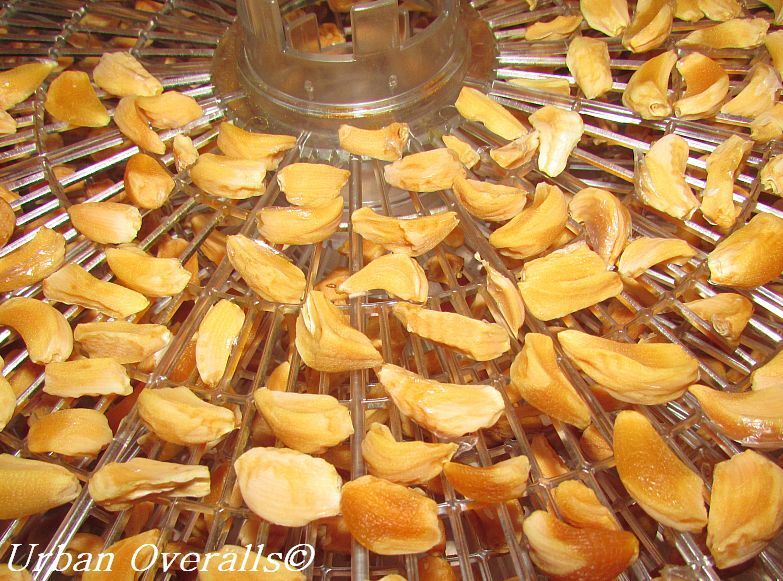 Once this task is complete, line the dehydrator racks with the cloves. 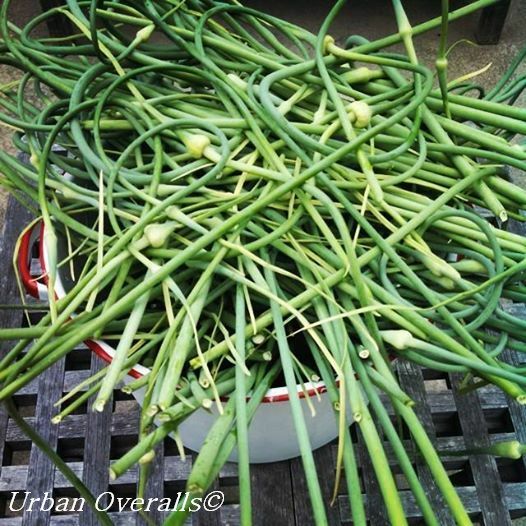 HINT: If you grow your own garlic, this is a great way to use those small cloves. I also find this a great way to use ‘mystery’ garlic. You know the type… garlic that was nicely labeled in the garden by variety (if you grow more than one variety), but ended up as a mystery due to an errant bulb falling out of the harvest basket. And as someone who usually raises five different varieties, there is usually a few garlic bulbs that end up in this category. HINT: Using several garlic varieties produces a garlic powder with deep and complex flavor. Garlic cloves (if small) can be dried within a day. Periodically test a clove by attempting to bend the clove. If it bends under the pressure of your fingers, it is not dry enough. As the clove dries, it will darken in color… becoming amber over the hours. Once the cloves are dry, place them into a powerful blender. Since the goal is to create a powder, place something such as muslin or a double layer of cheesecloth over the top of the blender container. (If you don’t have those items, you may substitute plastic wrap). Then place the lid on the blender. The cloth will help keep the fine powder from getting up into the lid where it can be difficult to remove (or clean). It also helps keep the powder in the blender rather than wafting out into the room as the appliance is doing its job. 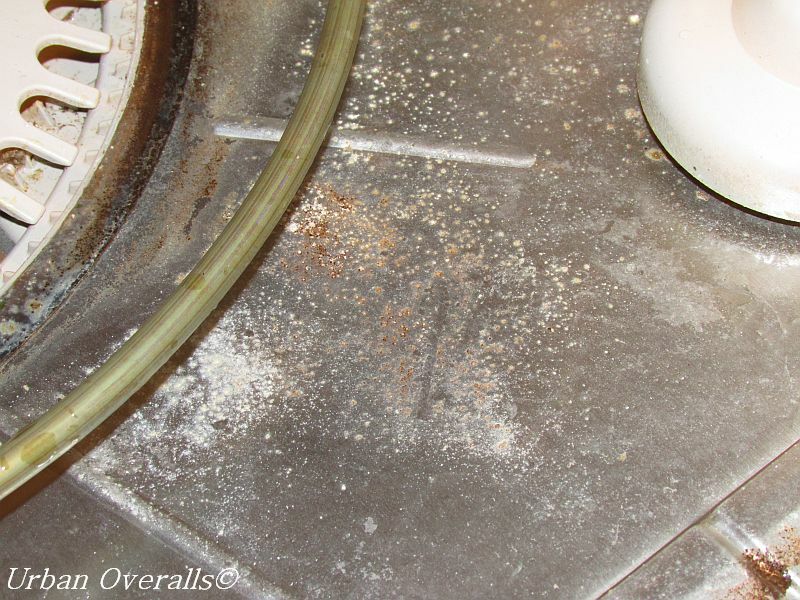 If you have a blender such as Vitamix, avoid using the high setting. Turn the dried cloves into powder with the variable setting instead. With other blender brands, use the pulse button. 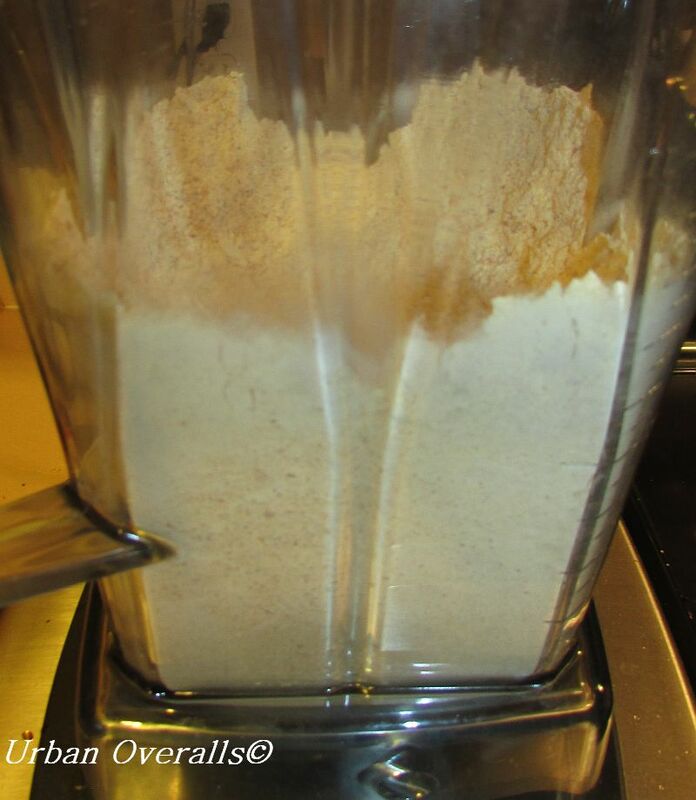 Stop the blender periodically to check on the consistency of the powder. Remember, you want powder rather than granules. Now gather containers (I prefer glass) with an air-tight seal. The amount of powder created depends on the size and number of cloves dehydrated. Making your own garlic powder has several benefits. 1) You save money over the store-bought stuff. 2) Your own powder is a great way to use small cloves or unlabeled garlic varieties. 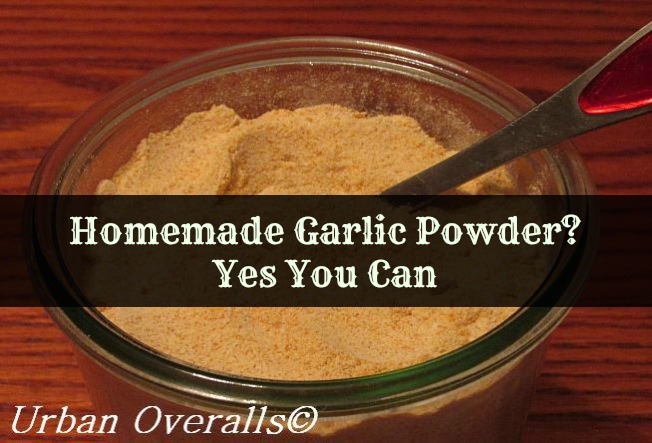 3) The flavor of homemade garlic powder beats the store brands. So go ahead and give it a try. Homemade garlic powder is within your grasp and the flavor will keep you coming back for more. Wow – yours looks a lot better than mine! I guess my blender isn’t as powerful as yours, or I am just too impatient! Thanks for sharing how you do yours. Thank you. The Vitamix did a great job at turning the dried cloves into powder. Though I stopped the blender several times and it wasn’t quite powder… more granules than anything else. Just be patient and you will wind up with powder. I would assume you husk the individual cloves prior to drying? Thanks. This is something I should have started making years ago. I can’t believe how easy it was to make. Plus the flavor is so much better than the commercial brands. Wow, I would have never thought to make this at home. I’m going to try this with my next garlic harvest. Thanks for the idea! It really is easy to make homemade garlic powder. I hope you give this a try after your garlic harvest. Have fun! Love this idea! Do you store in the refrigerator? freezer? or does it just stay in the jars room temp. I have a ton of garlic I need to do something with. Thanks for sharing. No, I store the garlic powder in the pantry… room temperature. Thank you for visiting our blog! Can I use a food processor? Does anyone plant in early spring? I have a lot from last year’s harvest but it’s starting to get little feet(roots) so this looks like a good way to use it(powder). Yes you can use a food processor. Just dehydrate the garlic cloves first and then pulse the processor until you have a powder. Garlic is typically a late summer/early fall planted crop, but you could try planting some of the garlic that is beginning to sprout. 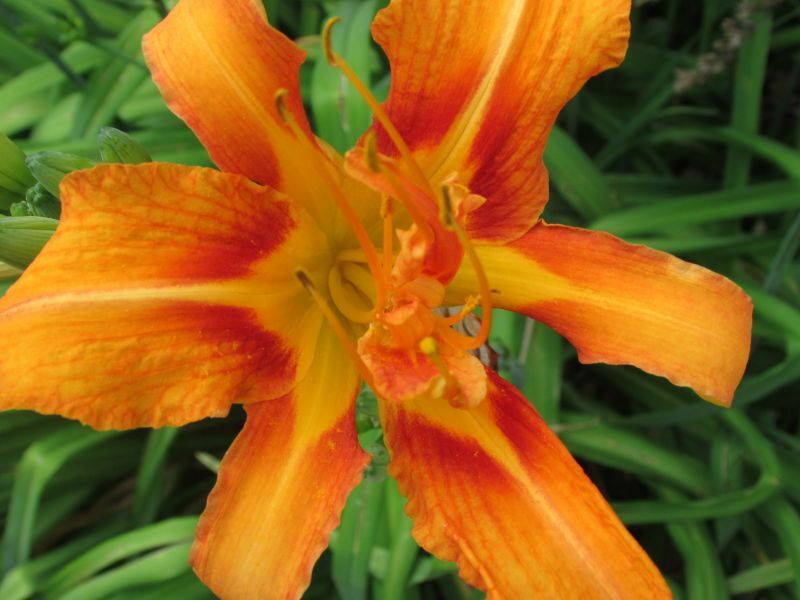 It just won’t develop as large of a bulb compared to if you planted last fall.